Disc Golf Action came out in 2000, there were 6 issues, Put out by Harold Hampton & Rene Espinoza. 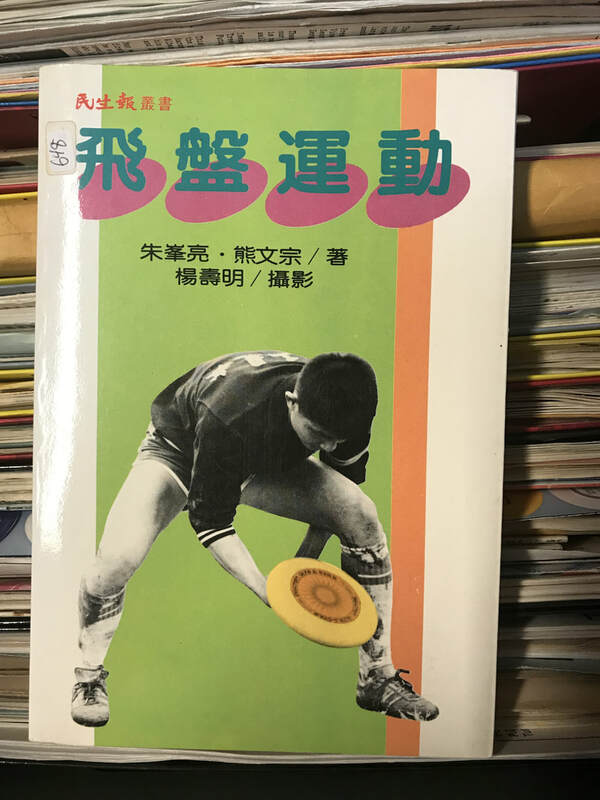 Random Disc Sports magazine from 1983-1989. 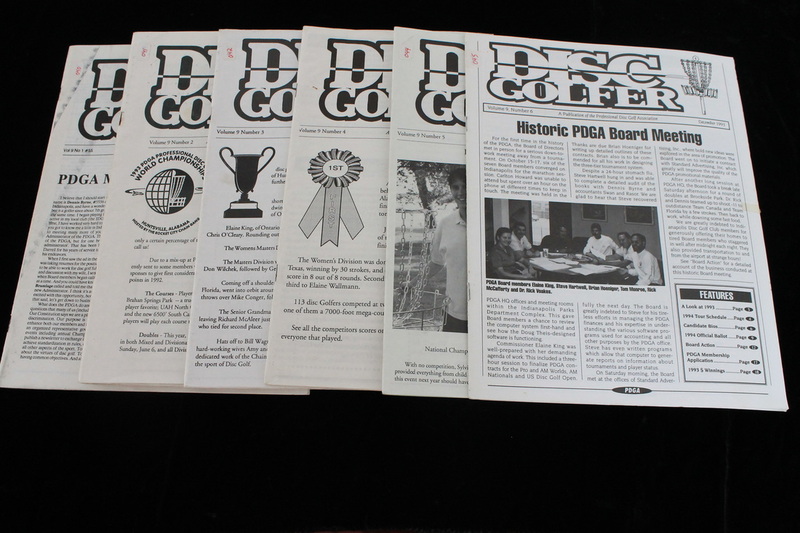 Programs from PDGA Worlds from 1983, 87,88,90,91,92,93,94,95,96,98,99,2000 & 01, these are from the collection of Ralph Williamson, I am guessing he played in all of these, I will say it again, Ralph Williamson is a 10X PDGA World Champion & not in the Hall of Fame?! My only Worlds was the Am worlds in 1994 & the Pro Worlds in 2011. Pages in a old Frisbee World Rag. I had the only ace at this event! This event was held in San Diego, Ca! I played on lots for courses with home made tube tones but never the real thing! Flat Flip is 2 books in one, a great read! signed by both authors. 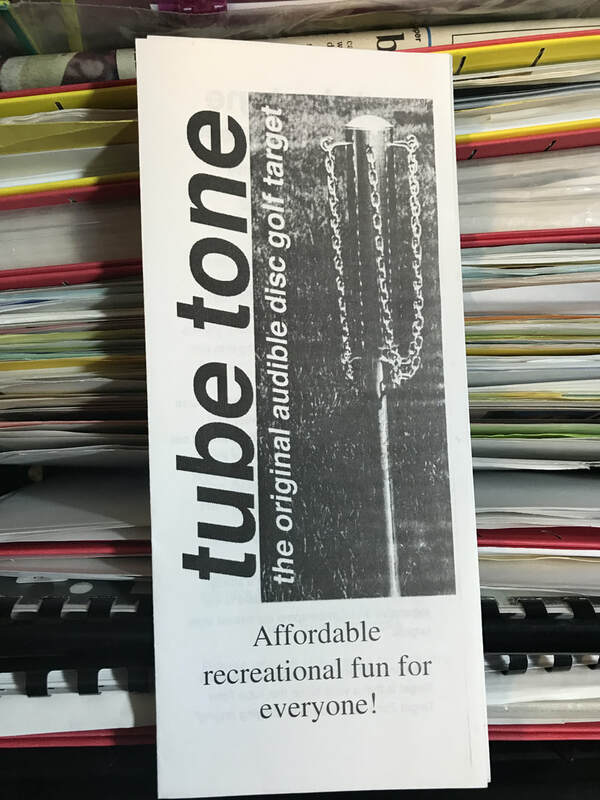 Random Great Lakes Disc Golf rag " Chain News " 1990-1994. This one is on several disc sports. Value $25. This one is just on Ultimate, value $ 25.
always liked this art work! Skyline Wilderness Park on the cover of the 2002 Spring issue of Disc Golf World News. A list of their goods! 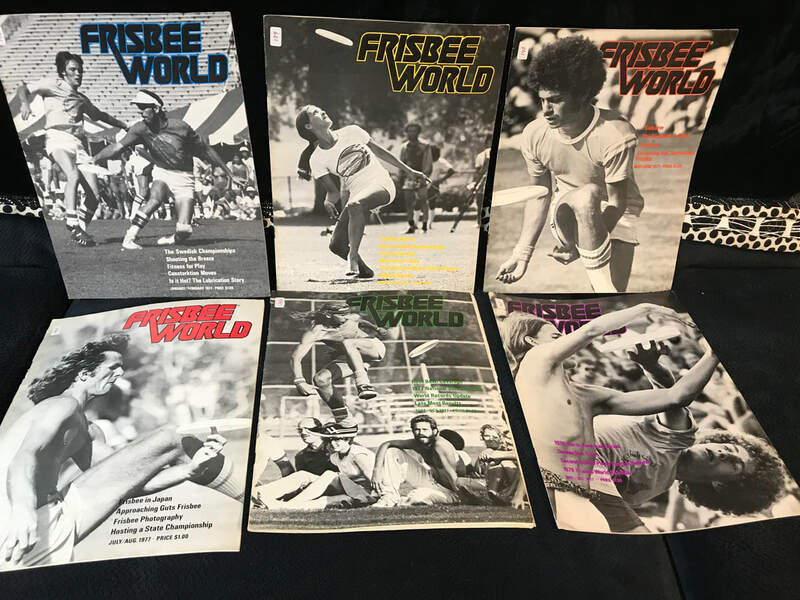 I have all six 1976 Frisbee World Vol 1-6, the one not shown is Vol 1 # 4 you can see it under Rose Bowl it is in a shadow box. 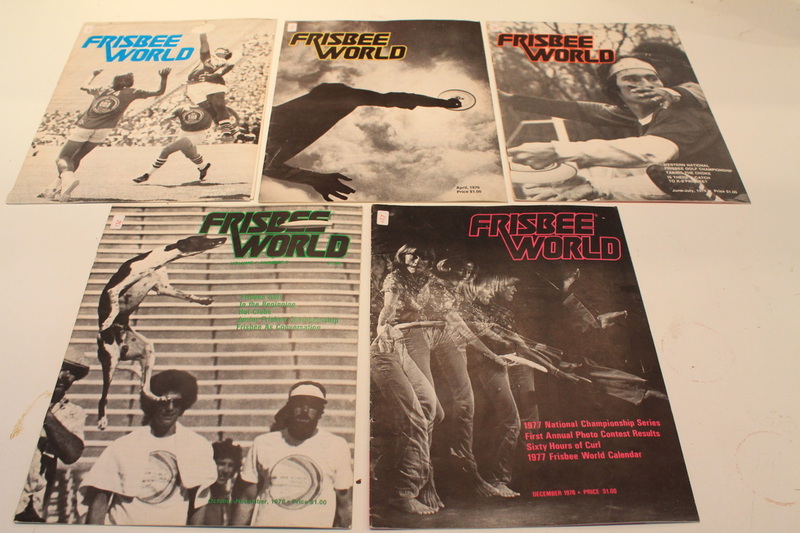 Set of Frisbee World mags from 1977. 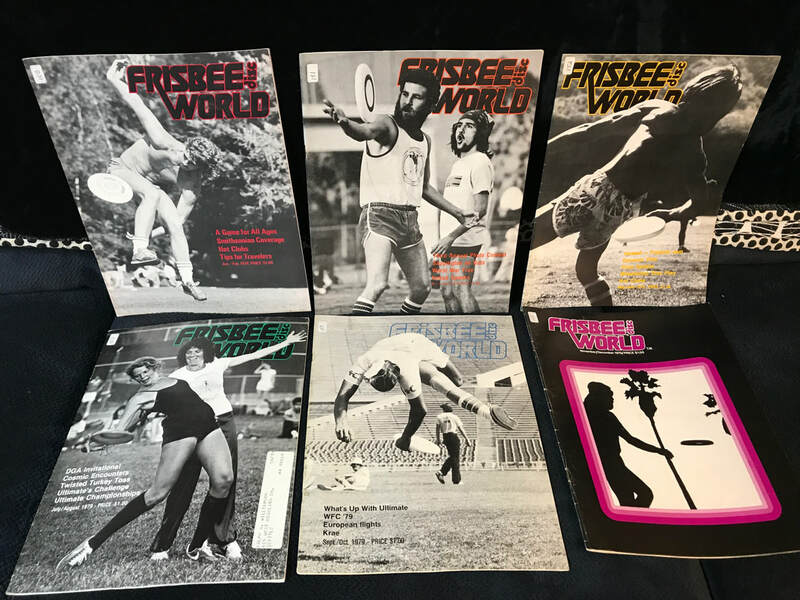 Set of Frisbee World mags from 1978. 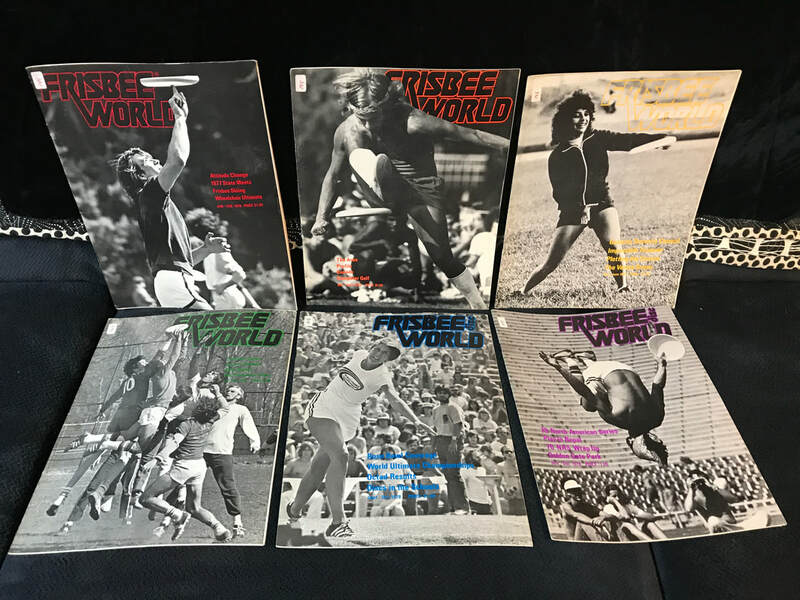 Set of Frisbee Disc World from 1979. From back in the day when they printed stuff! Short lived rag from 2008. 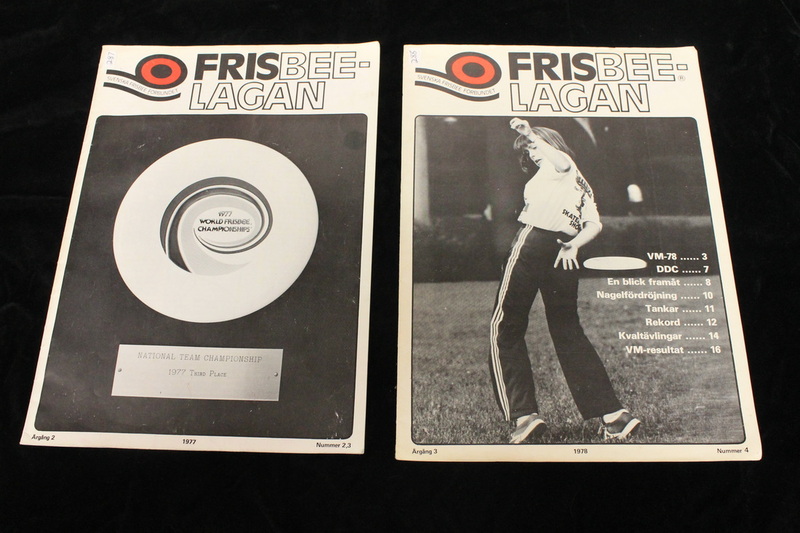 DGA info mags on the Origin/History/Design/Course Standards/Layout, left is from 1976 with a Ken Headrick cover on right is dated 1980. Put out by Michael Williams. This one is a little odd, has Sponsor strategy and marketing ideas as well as history of the sport, it features the 3 Amigos tour from 1991 and info on the Lissaman brothers and Micael Williams. 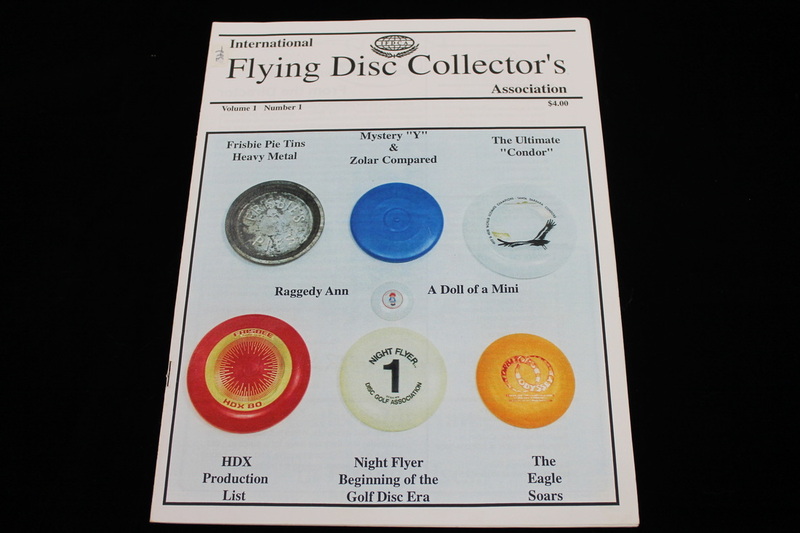 Program for the 1994 PDGA Worlds. 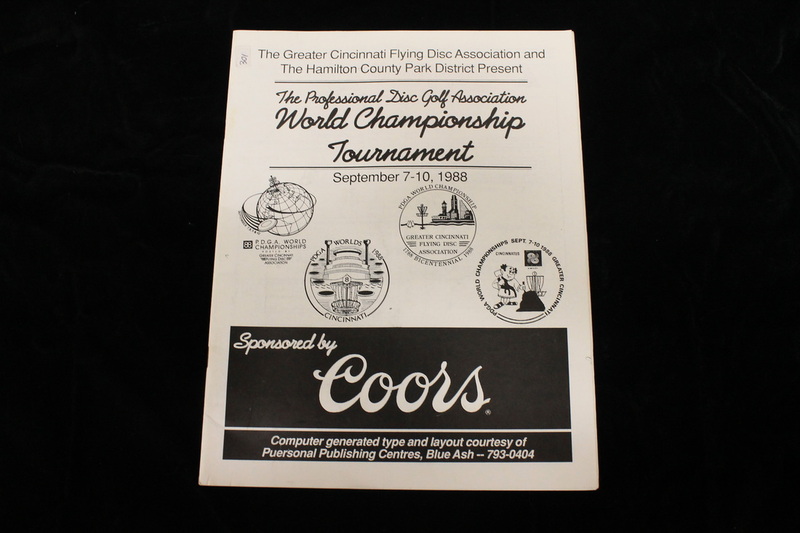 Program for the 1988 PDGA Worlds. 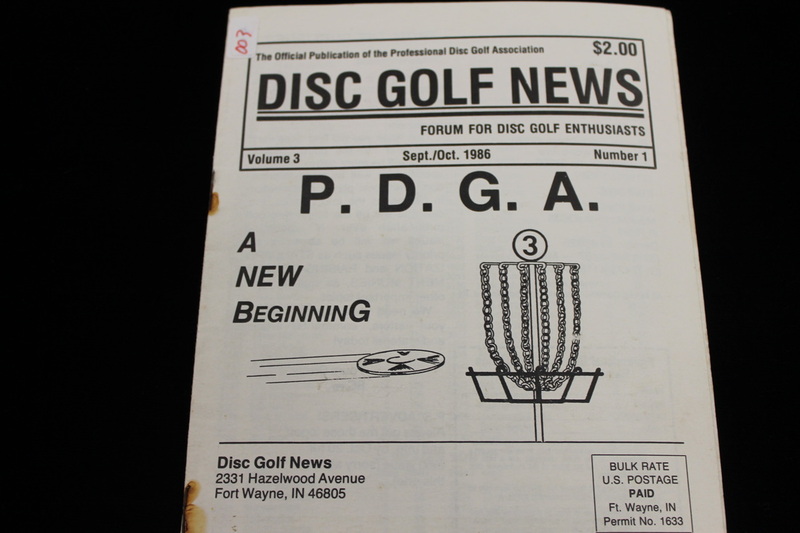 Program for the 1987 PDGA Worlds. 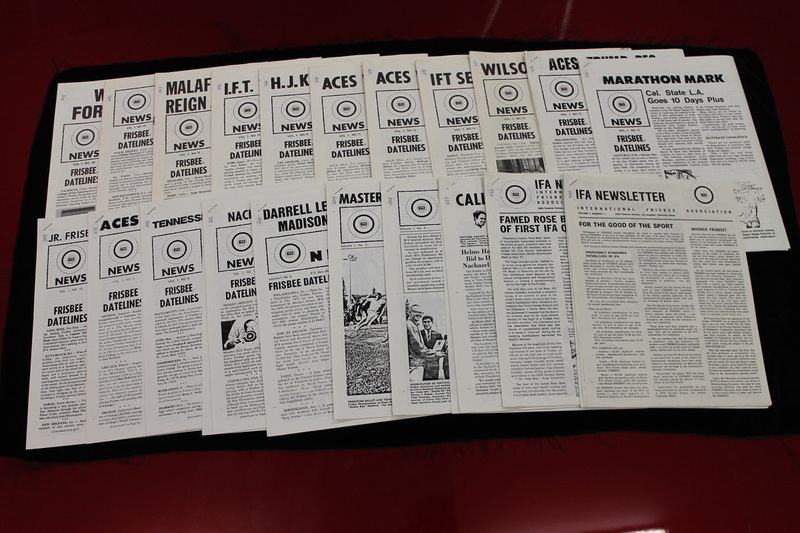 The Circular # 1-5 ( 1975-1976 ) this is the news letter from the New York Flying Disc Institute, also the Proficiency Manual. Program from the 1992 Japan Open. 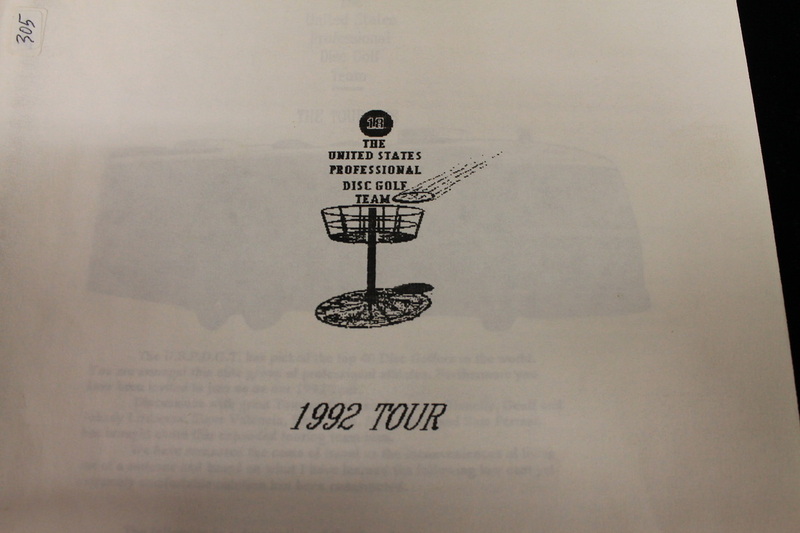 Program from the 1993 PDGA World Doubles Championships. 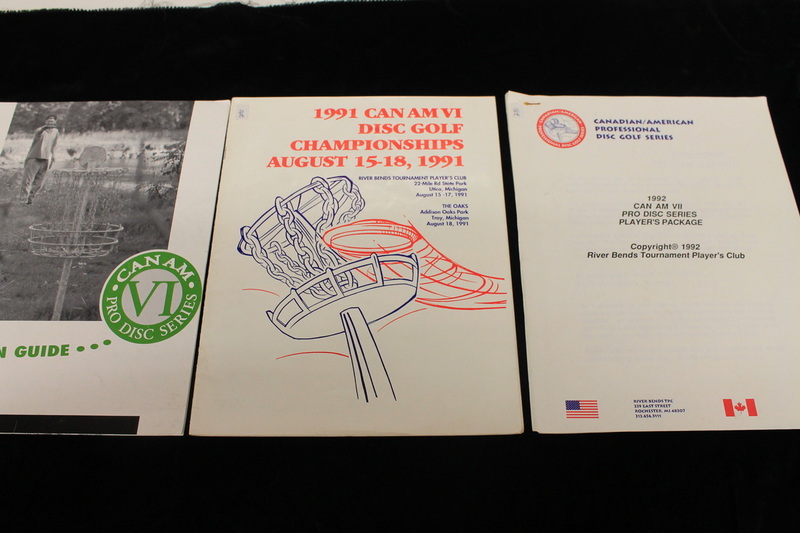 Programs from the 1991 and 1992 CAN AM Series. Swedish magazine from1977 and 1978. Program for the 6th Checkered Flag Open held in Indianapolis. Disc Life Magazine from Japan Climo cover from 1994, inside is all in Japanese. 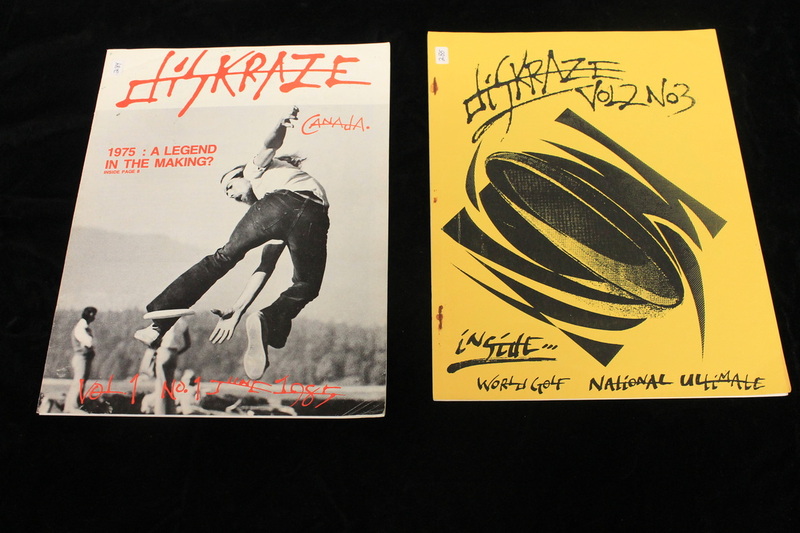 Disc Craze Magazine, Vol 1 # 1 from 1985 Ken Westerfield cover and Vol 2 # 3 from 1987. 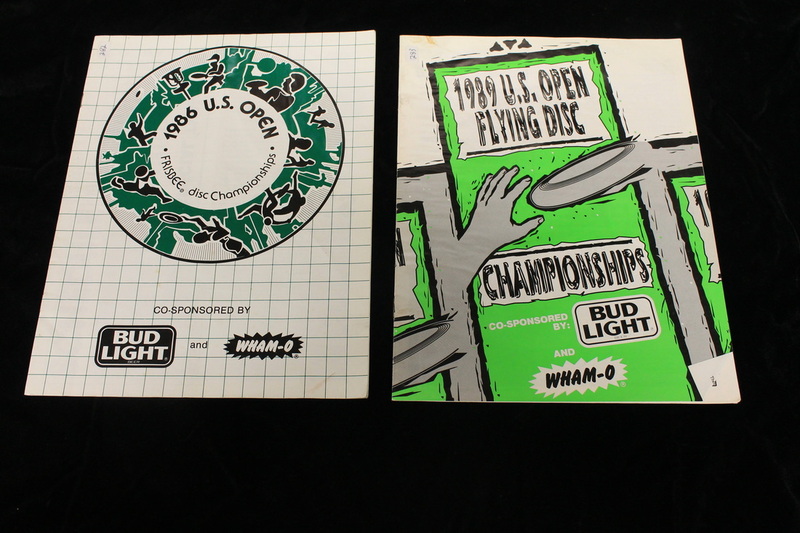 Programs for both the 1986 and 1989 U.S. Open Flying Disc Championships. These events were held in Southern California. 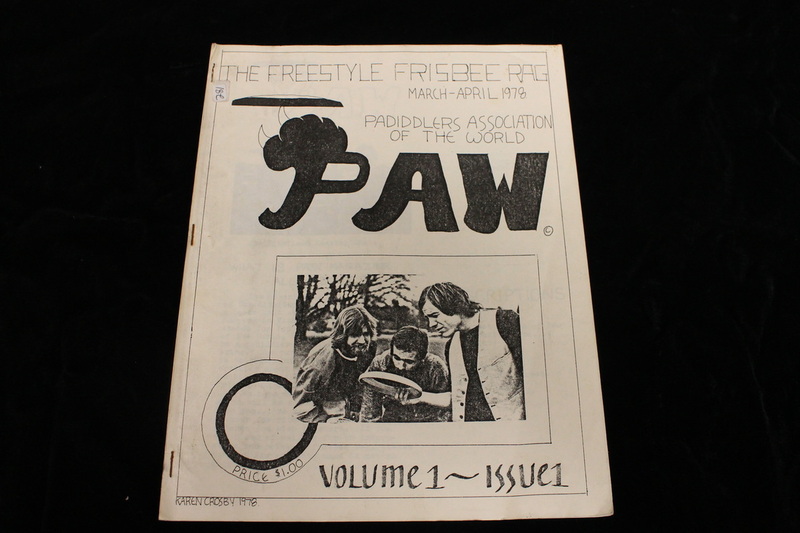 PAW Magazine Volume 1 issue 1, 1978, Padiddlers Association of the World. 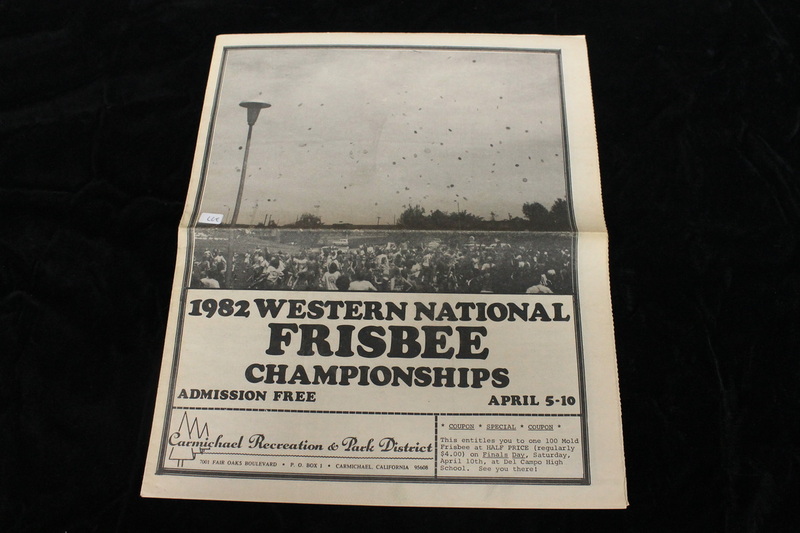 1982 Western National Frisbee Championships magazine, event was held in Sacramento. 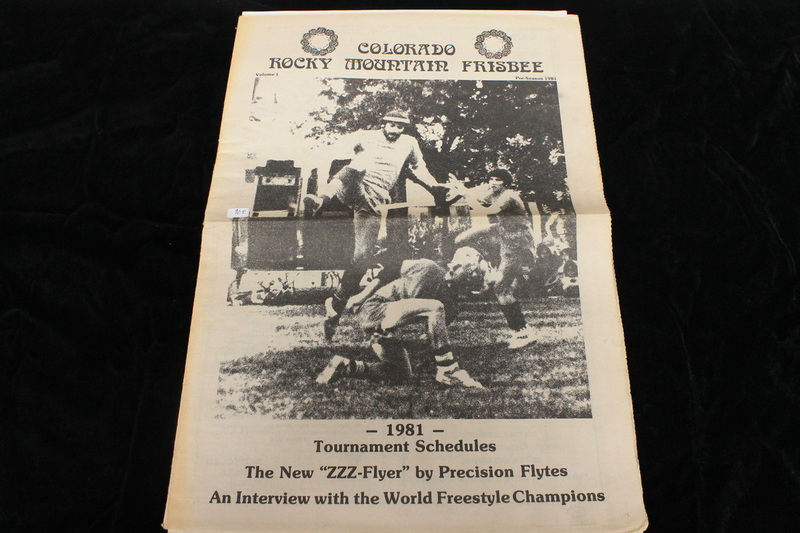 Colorado Rocky Mountain Frisbee Magazine Volume 1 1981. The Real Flyer circa 1979. Put out by the UFOS. Magazine from the 1980 Indian Summer event. Kevin Givens cover. Magazine from the 1979 Indian Summer event. Corey Basso cover. 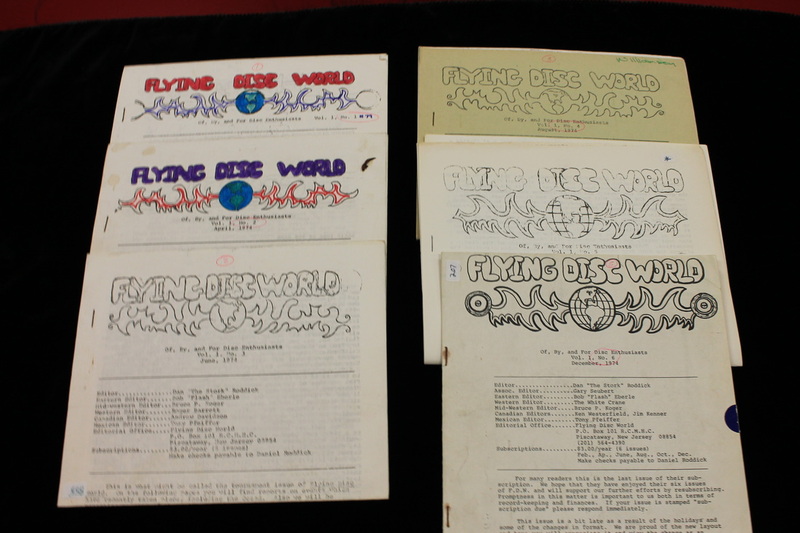 1974 Flying Disc World Vol 1 # 1-6. 1950 So-Cal plastic ad on back of a Dell comic book. 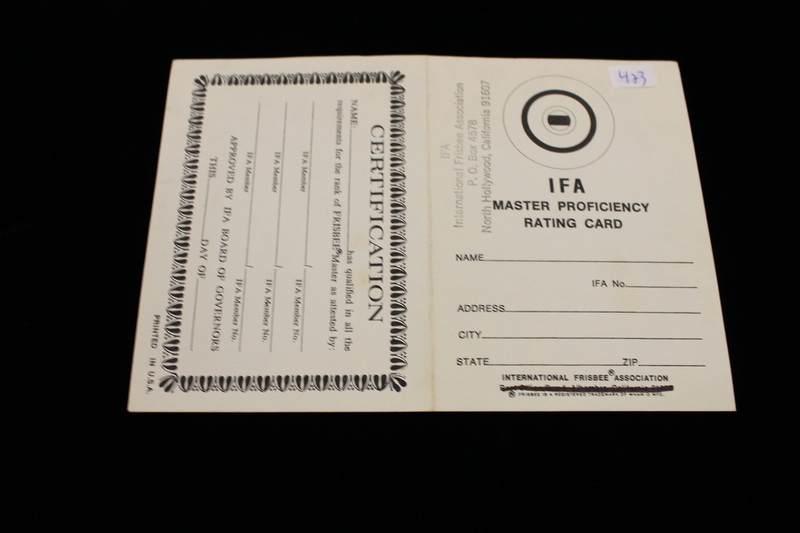 1972 IFA Master Proficiency rating card. 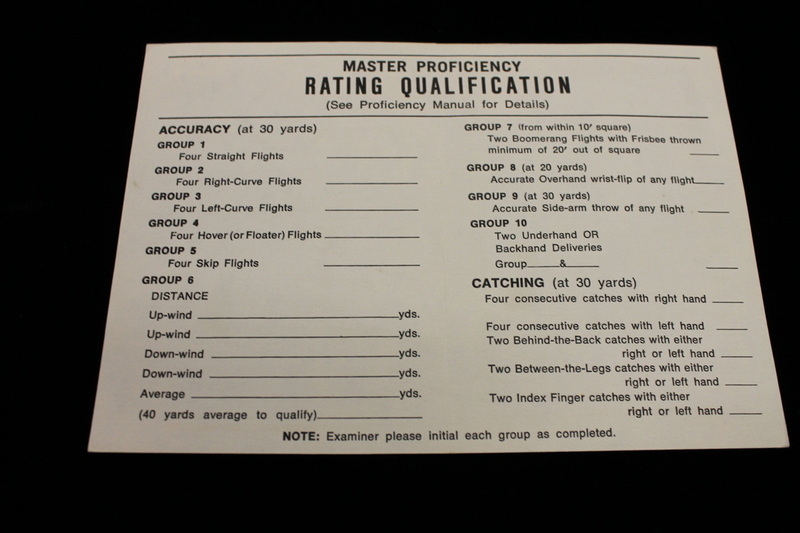 other side of rating card. 1972 Official rules of Guts 2 pages. 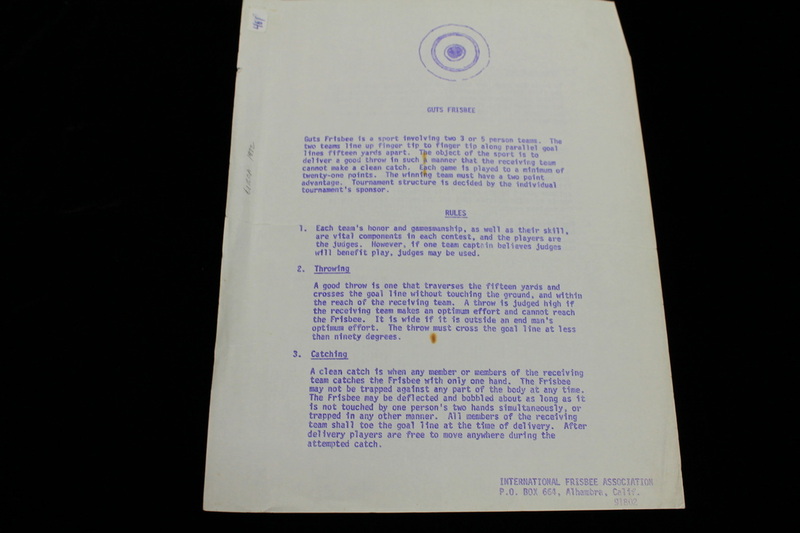 1971 Official rules of Ultimate 5 pages. 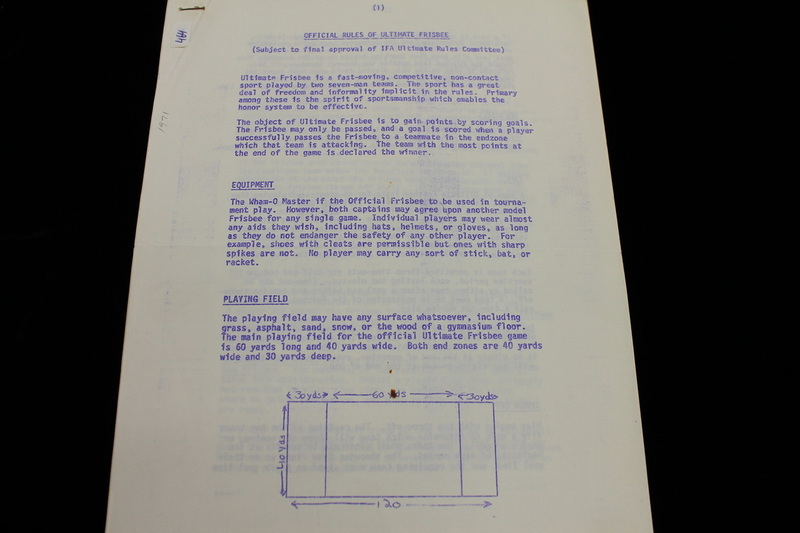 Sky Croquet instruction sheet 4 pages 1960. 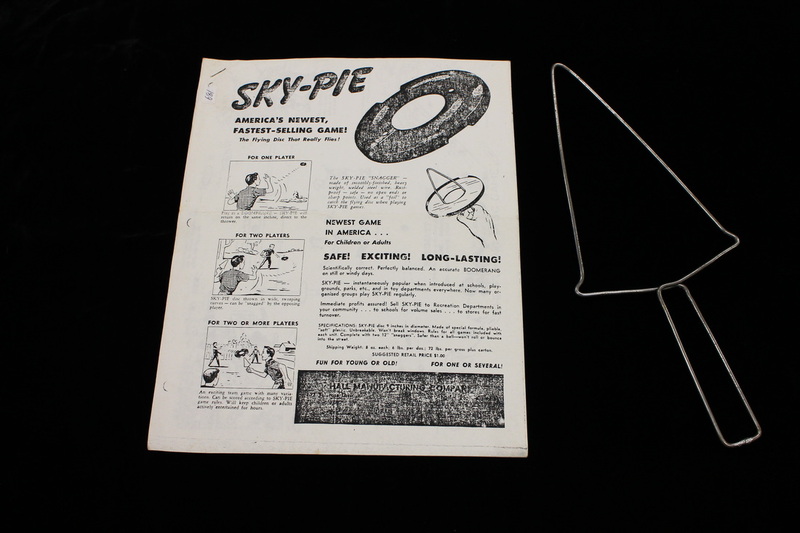 Sky Pie instruction sheet 3 pages, well illustrated, ( copy ) 1949, with a reproduction catcher, Thanks Kory! 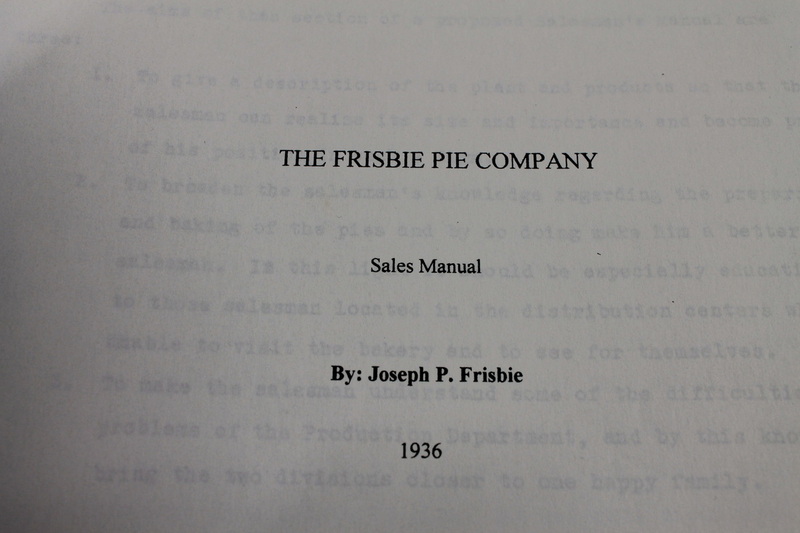 Starting in 1968 with Volume 1 No. 1 -20, IFA Newsletter, many are copies. A stack of Disc Golf Journals! June/July 1991 Disc Golf Journal, Sam Ferrans cover. 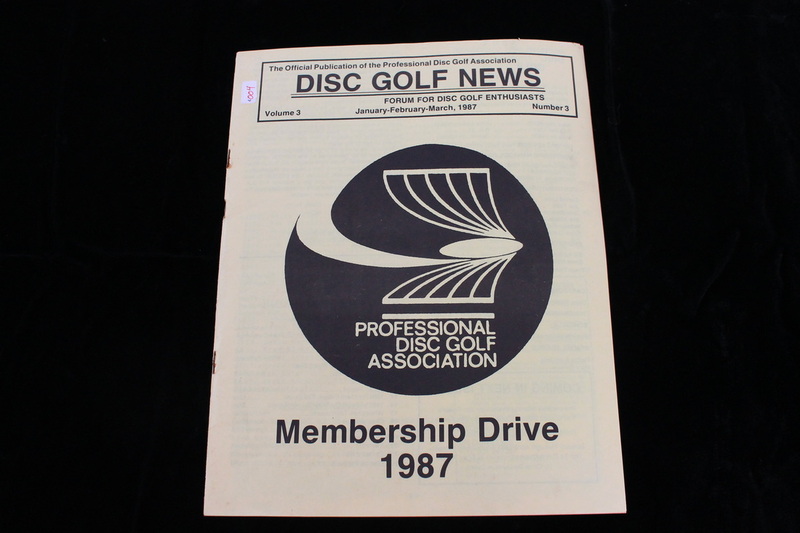 Set of 1993 Disc Golfer, this is a strange set it jumps from No 1 Jan/Feb to No 2 May, in this year there is only 5 magazines. 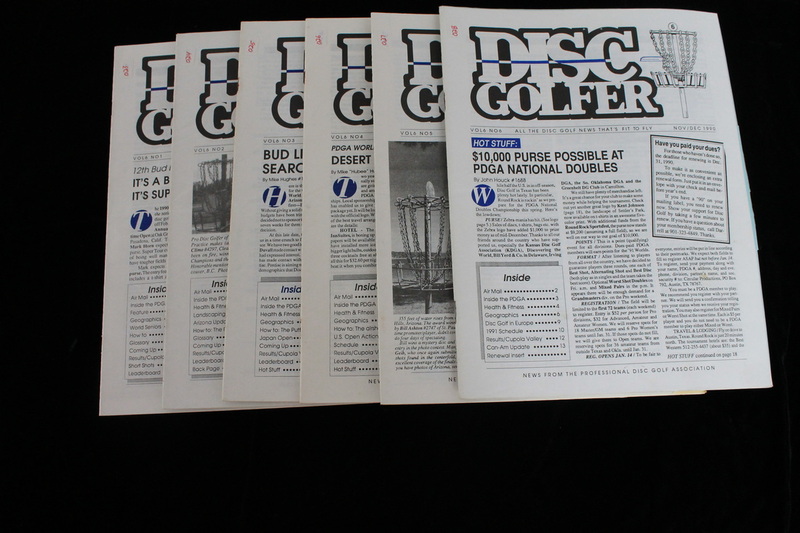 Set of 1992 Disc Golfer missing Vol 8 # 6 Nov/Dec. 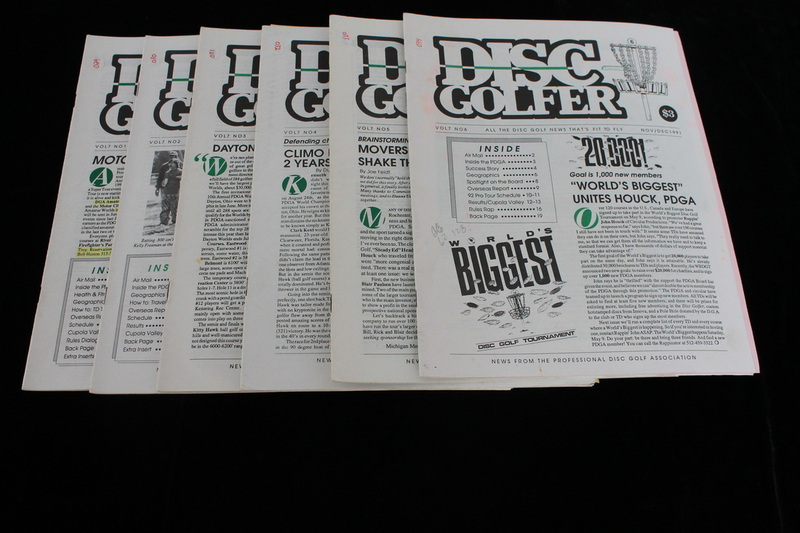 Complete set 1991 Disc Golfer. Complete set 1990 Disc Golfer. 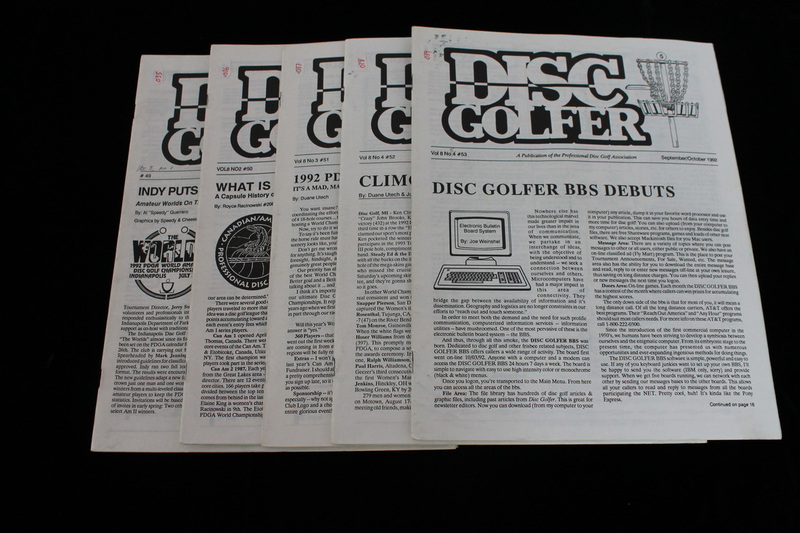 Complete set of 1989 Disc Golfer. 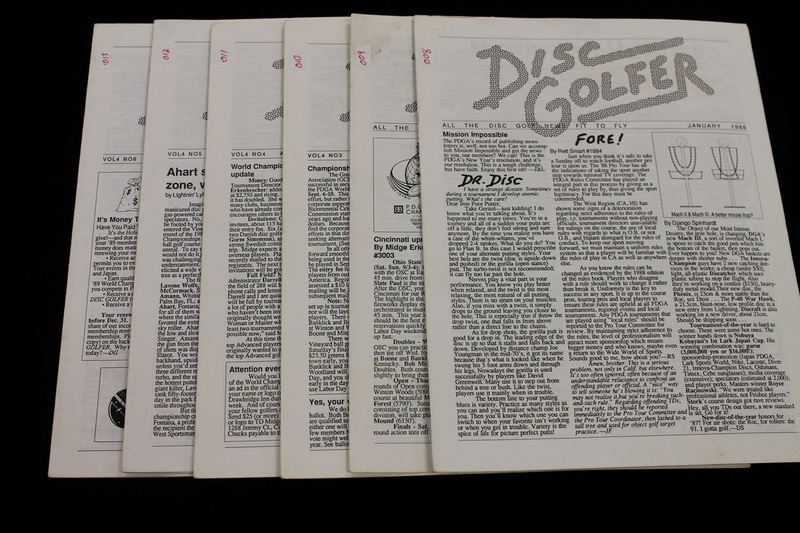 Complete set of 1988 Disc Golfer. 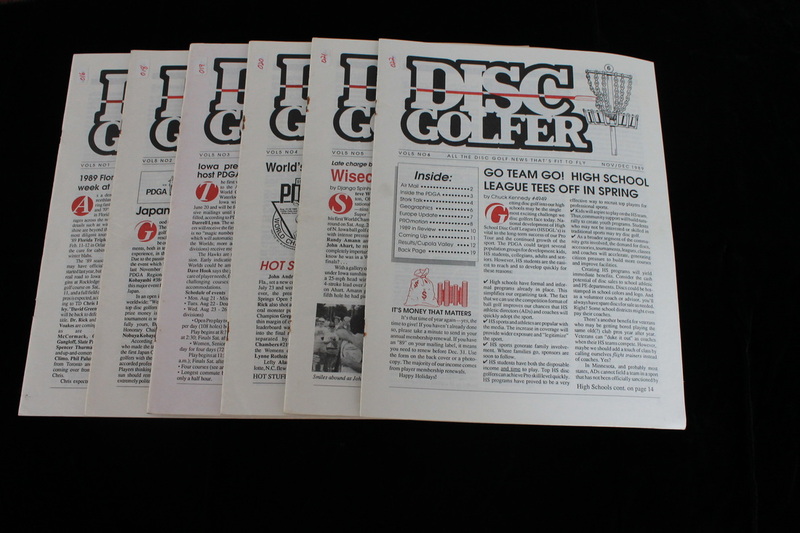 The first Disc Golf World News, Vol 1 No 1, all I need is Vol 1 No 2 and I have them all! My oldest DGWN. Reports on the first Ice Bowl. 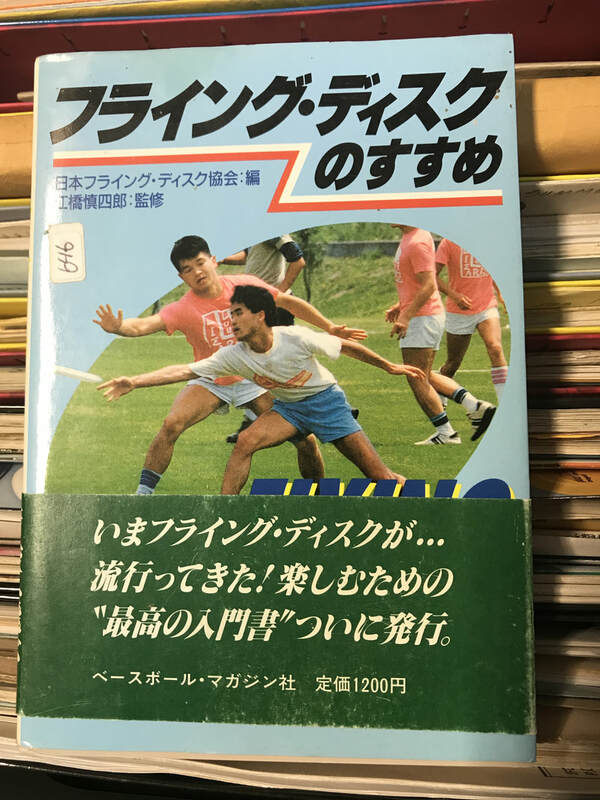 Disc Golf World News mags, Vol 1 # 3 Hosfeld 1987 World Champ, Vol 1 # 4 Crazy John Brooks accepts 1,000,000 yen for Japan Open win. 1986 Worlds Results Johnny Sias # 1700 World Champ. 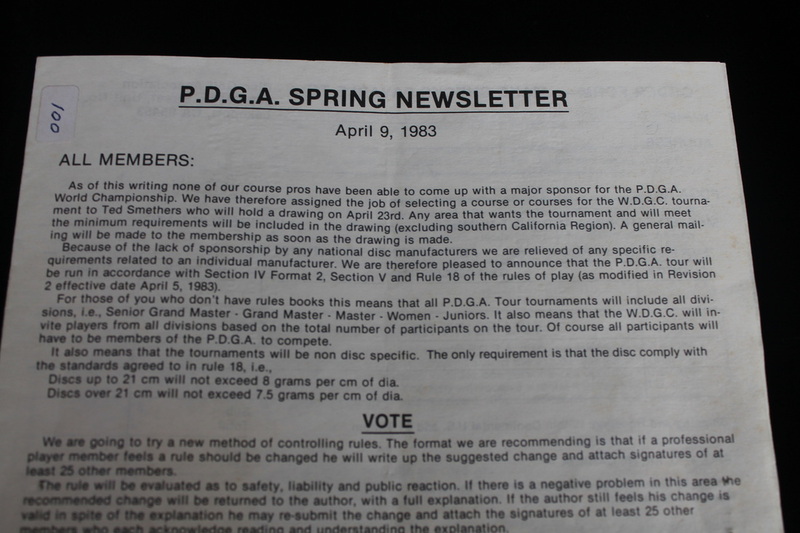 My oldest PDGA Newsletter. 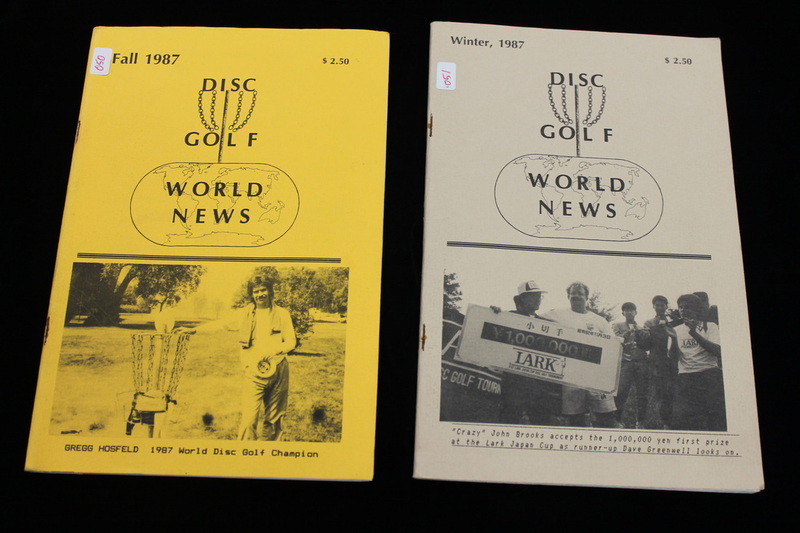 Announcing the 1983 Disc Golf World Championship. 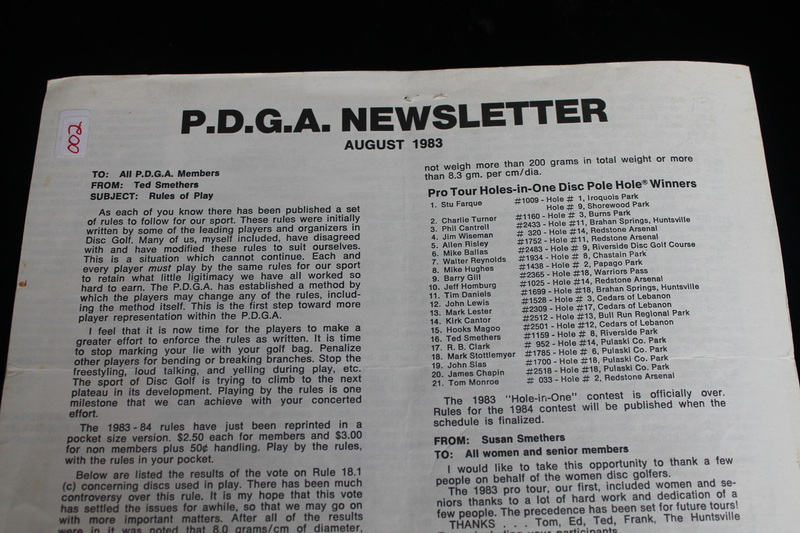 Early PDGA Newsletter. 1983 Worlds results, Jeff Watson # 1406 World Champion. Large pamphlet with cool illustrations, value $25.